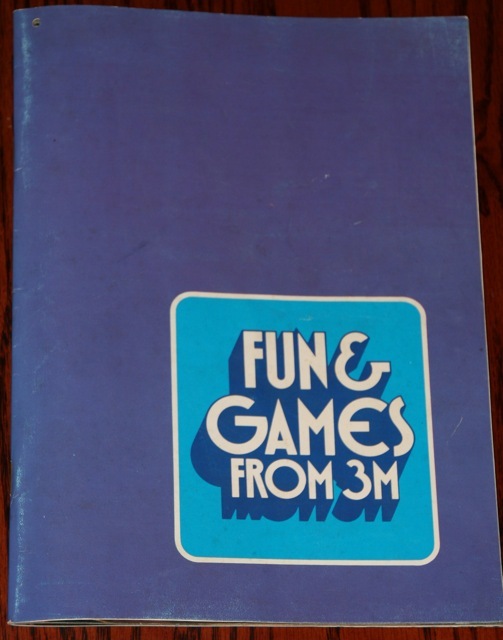 This store catalog from USA about 3M games has 52 pages and was published in 1971. 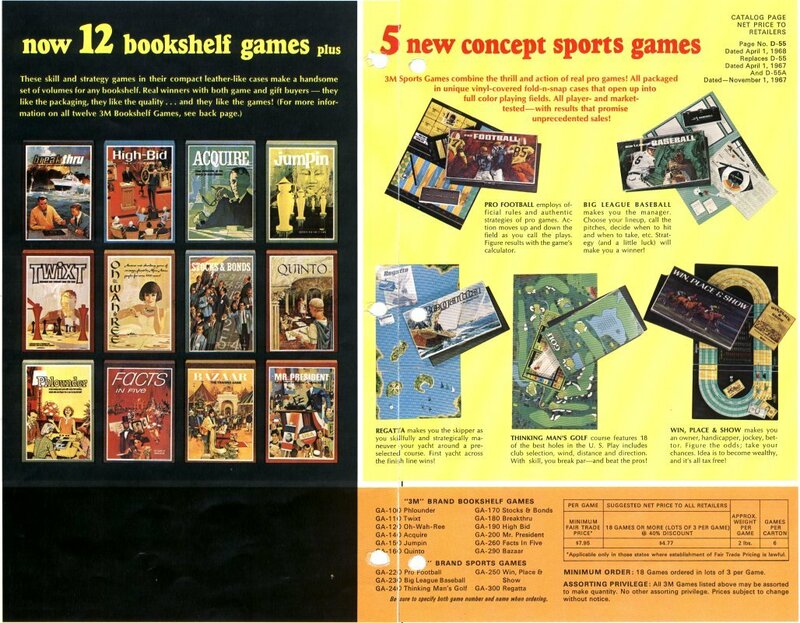 (Info by Paul Spreitzer). 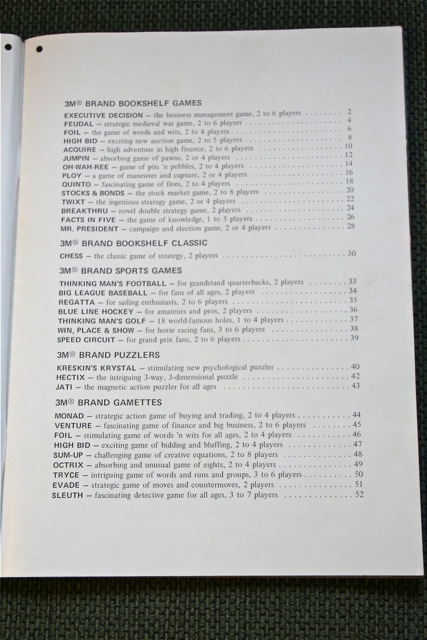 Pictures: Cover, Intro, Contents, Front-Back, Executive Decision, Jati Puzzler . 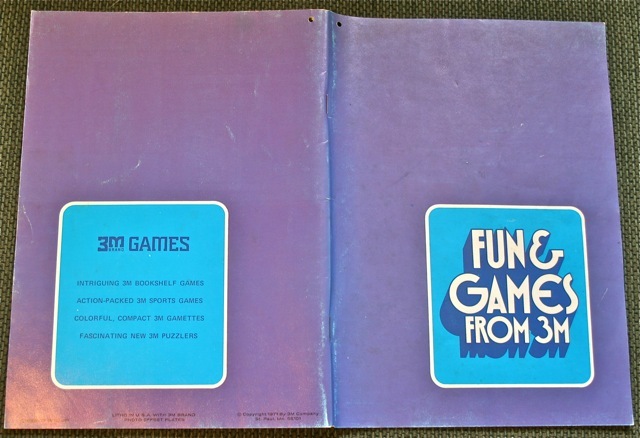 Mr. President (even though it came out in 1965!? 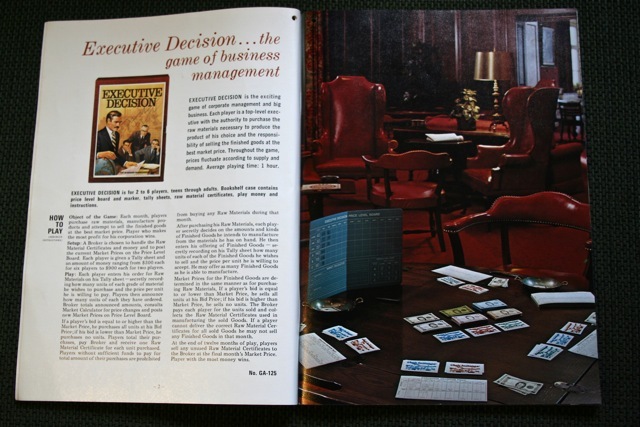 ), Executive Decision, Speed Circuit, Evade, Sleuth, Kreskin's Krystal und Chess. 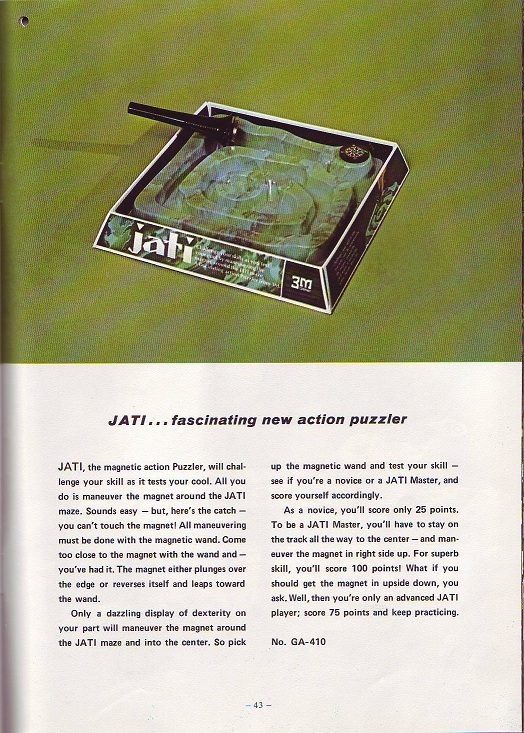 The Jati Puzzler was sold at least in 1970 and 1971! 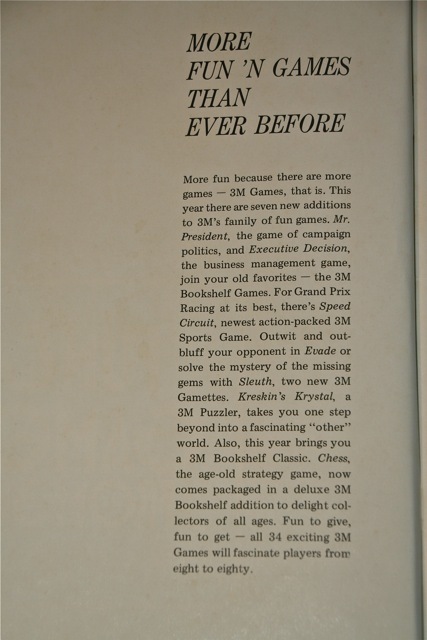 Even if Mr. President is announced in this 1971's catalog, it does appear in earlier price lists(1968) and advertising material.